The High Court of London on March 29 decided to consider Russia's claim to Ukraine on the Eurobond issue for $ 3bn in an accelerated mode as requested by the Russian Federation, Ukrainian News reported on 29 March. The Ukrainian side sought a full-scale trial, which would include studying the political aspects of the case, but Judge William Blair rejected Ukraine's arguments that these debt securities were an instrument of political pressure on Ukraine. In legal terms, the ruling spells that Ukraine took money from Russia and must return it. Nevertheless, the court allowed to appeal against today's decision. "This is the first stage. Ukraine has received the judge's permission to appeal," Finance Minister of Ukraine Oleksandr Danyluk told reporters. Ukraine owes Russia threebn dollars on controversial bonds, issued in late 2013 as part of the bailout program for the regime of Viktor Yanukovych in exchange for Ukraine's refusal from the association deal with the European Union. Putin promised Yanukovych 15bn dollars of which has received only three billion in view of the Decency Revolution events. Last year, Ukraine restructured 13 issues of Eurobonds for a total of $ 15bn, making private creditors to write off 20% of the debt. However, Russia said it was an official creditor rejected Ukraine's proposal as unacceptable. Ukraine, in turn, rejected the possibility of repaying the debt without restructuring and introduced a moratorium on its payment. On January 1, Russia announced that Ukraine failed to pay the total amount of 3.075bn US dollars, and thus entered a state of default. 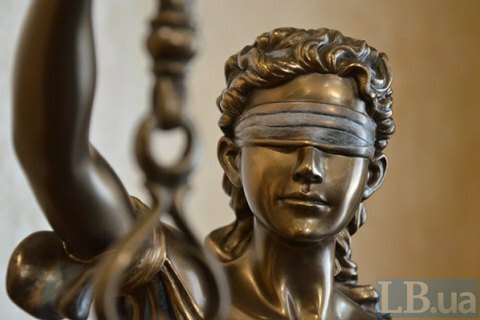 The Russian authorities turned to The Law Debenture Corporation plc and began the procedures necessary to file a lawsuit with the English court. In addition, Ukraine would have to pay a 683 thousand dollar fine a day for the delay. The International Monetary Fund recognized the loan as a sovereign debt.